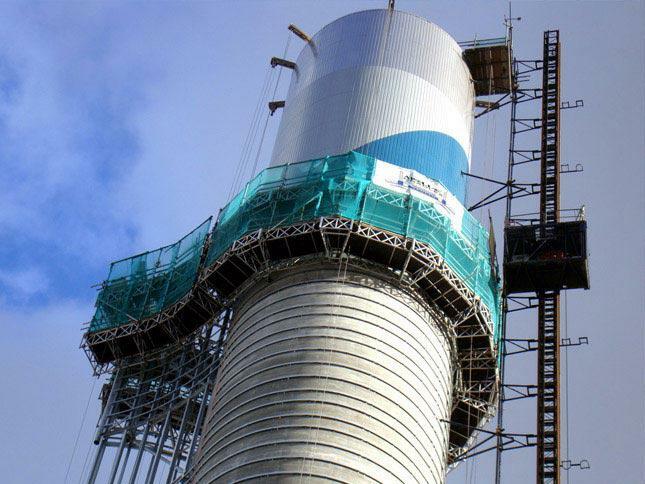 We were approached to design and manufacture a double deck circular platform to clad the Belvedere Riverside Resource Recovery Centre chimney and its aerofoil. 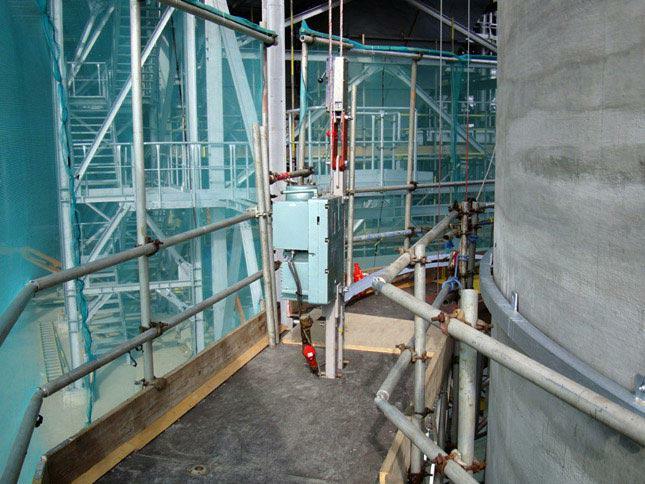 The aerofoil was clad with two separate but matching platforms which travelled upwards fixing the sheeting rails, before travelling back down to fix the cladding materials which were delivered to the platforms by hoist. 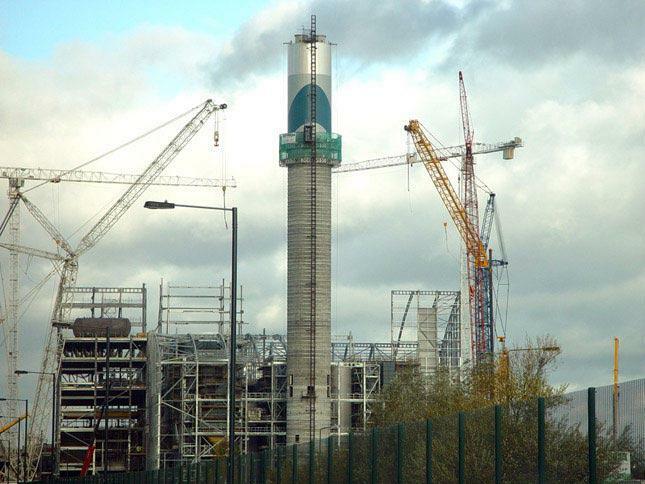 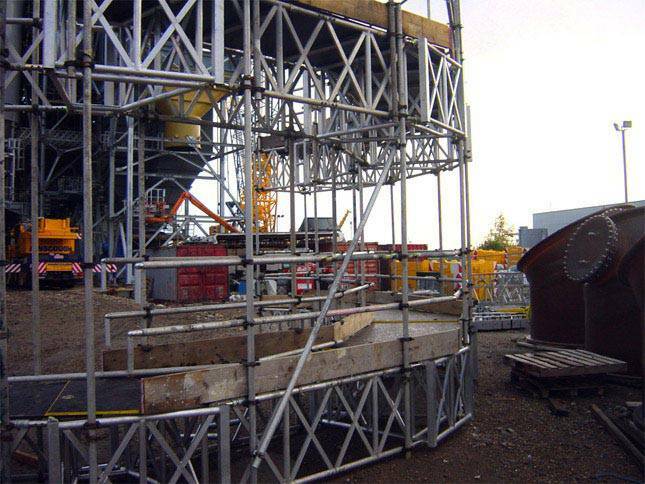 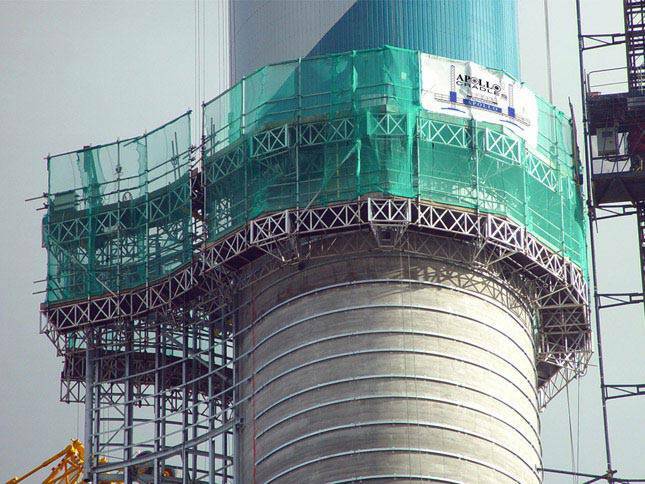 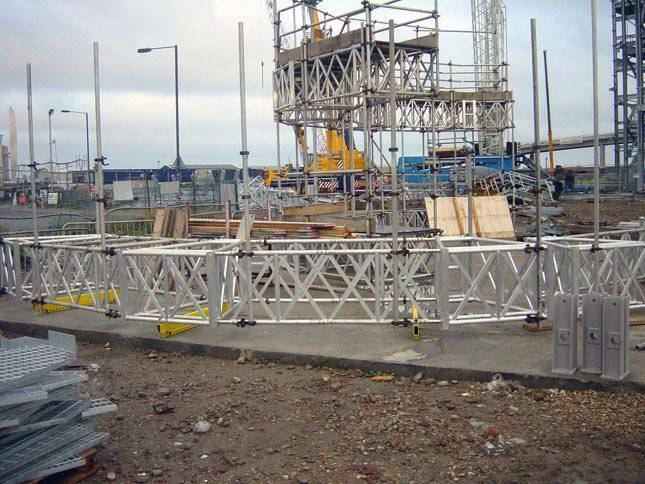 Cradles and platforms used for fitting, cladding and sheeting of chimney. 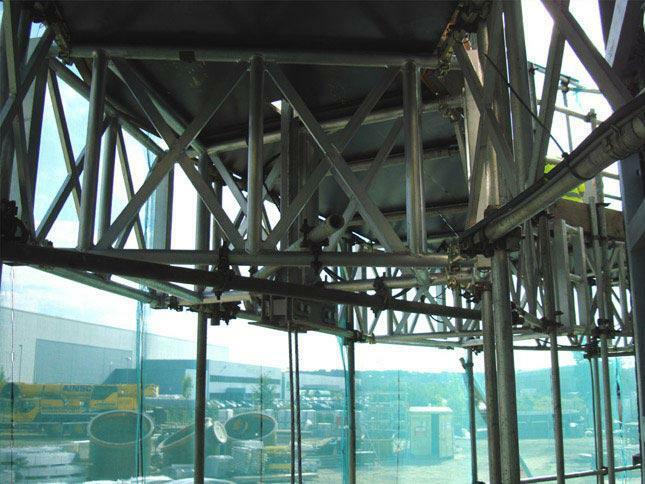 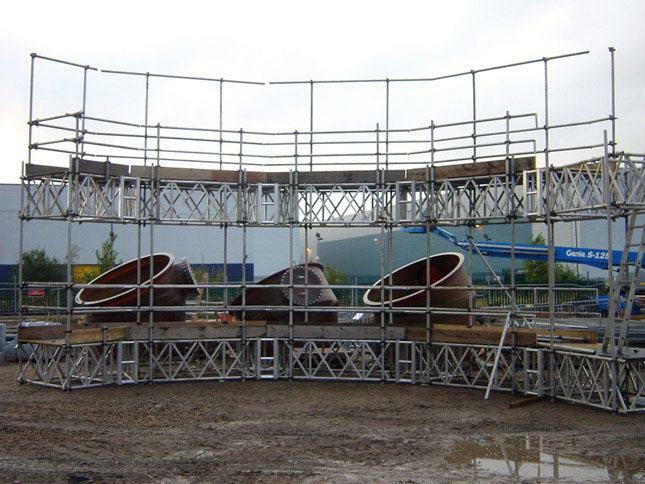 Manufacture, installation, hire and supply of circular platform and suspended double decker cradles. 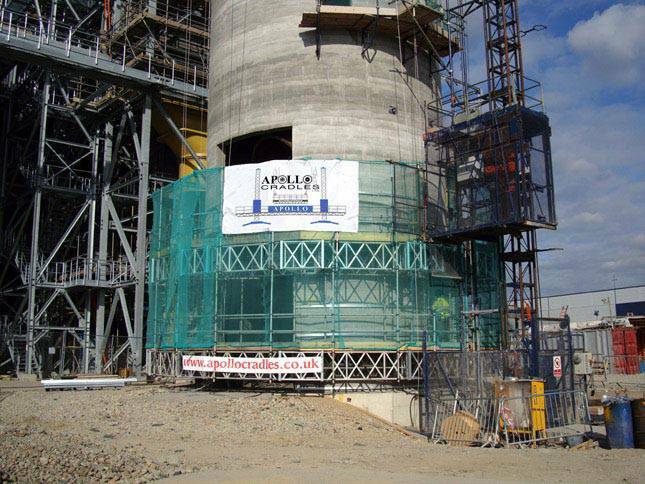 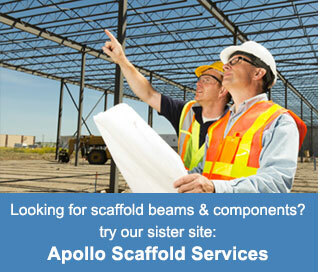 Double decker cradles providing two working platforms at the heights required.